Why Was the Forth Bridge Closed? 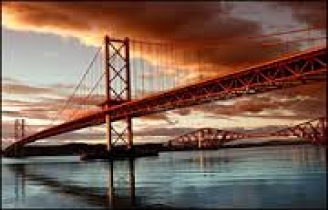 In December 2015, the Forth Road Bridge running from Fife to the outskirts of Edinburgh in Scotland was urgently closed after critical flaws were discovered in the structure. This was on the back of a 2-Day examination of the bridge by construction experts. The extent of the closure meant that motorists travelling into Edinburgh from Fife, or traffic travelling further north to Dundee and Aberdeen, had to make a 40 mile roundtrip detour, over the two Kincardine bridges, further downstream on the River Forth. This then lead to major congestion on these bridges, as drivers frantically attempted to continue their journeys. Fife is a major commuter belt for the Edinburgh and Lothian industries, and in particular the financial services industry. Whilst the train companies reacted immediately, by supplying additional carridges, this would do nothing to support the amount of people in transit. Why didn't we foresee such an event? Why was there no contingency or disaster recovery plan in place? Who is Responsible for the Forth Road Bridge? Well it would appear that we were forewarned but unfortunately we aren't forearmed. The company Amey, (Forth Bridges Unit) assumed responsibility for the maintenance of the bridge from June 1st, 2015. “Amey will undertake detailed inspections of the Forth Road Bridge and future of Queensferry crossing (the new bridge) and the approach roads. Regular safety patrols will ensure that the travelling public is kept safe and that the bridge is been effectively maintained and me will identify, record, and repair any defects on the bridge. Amey uses the detailed traffic modelling to minimise disruption to road users while essential maintenance is being undertaken. It is interesting that the report published after the debate back in 27th of January 2010 by the Transport Infrastructure and Climate Change Committee - "The Forth Crossing Bill" detailed the reasons to go ahead with plans to build a new bridge across the River Forth (now underway). “….the committee was therefore keen to explore whether any contingency plans were in place for the provision of public transport services should any future long-term or permanent closure of the Forth Road Bridge be required due to the failure of remedial action (e.g. the dehumidification of the cables) or emergence of other serious structural failures. The remarkable response by John Howison, of Transport Scotland, indicated that the Agency did not anticipate being faced with such a scenario. “… we do not expect that the existing bridge will not be available. (Oh dear!) if the anchorages were found to be weakened - they could be repaired without any undue impact on the operation of the Bridge. and if recabling work should be necessary the majority of it (the impact) could be accommodated with buses running in 2 directions on one carriageway. That should be adequate! If something that we cannot contemplate at the moment, happens to the existing bridge and we needed to run public transport across the new bridge, or if pedestrians have to use it in the longer term, the new bridge will have sufficient width for us to able to re-configure it to cope with a number of scenarios. Of course doing that would be at the expense of the hard shoulder which would normally be used”. The new bridge is not due to be completed until 2016 – Oh how he must regret those words today!